As you know, it is hard enough to find a good job these days in your community, much less in a foreign country overseas. 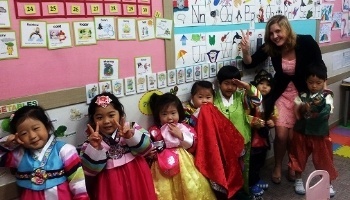 We understand how challenging it can be to master the ins and outs of job markets for teaching English abroad in countries such as South Korea, Spain, or Argentina. That is why International TEFL Academy provides comprehensive, lifetime job search guidance to all of our students and graduates, encompassing all of the expertise you will need to navigate job markets anywhere in the world. 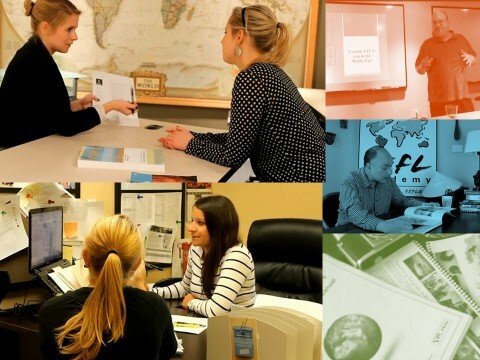 Whether you want to teach English abroad in Santiago, Seoul or St. Petersburg, we will show you how you can take advantage of job opportunities that match your specific goals and qualifications. With 1.7 billion people using & learning English worldwide, the demand for English-speaking teachers has never been higher. ITA trains well over 5,000 students a year & virtually all our graduates who seek an English teaching job abroad get a great job teaching English abroad. Note: International TEFL Academy is a TEFL Certification school, and we only provide assistance to our own ITA students & graduates for finding jobs teaching English abroad. How Does ITA Help You Get a Job Teaching English Abroad? All of our graduates receive a 400 page manual containing all relevant information for major job markets around the world, including hiring seasons, academic standards, and the interview process for teaching English abroad. Templates for successful resumes and cover letters are also included. This manual incorporates extensive listings of online resources, including more than 100 ESL international job boards, in addition to individual "How-to-Guides" for getting jobs in individual countries around the world. 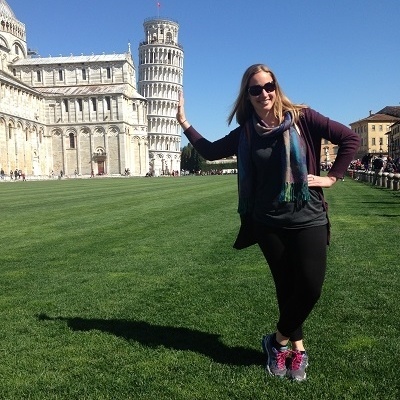 Meet the expert advisors in our Student Affairs Department, who will provide you with the tools & guidance you need to achieve your goal of teaching English abroad. 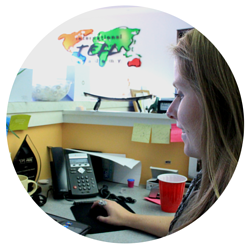 They have all personally taught English overseas and possess years of experience in the field of TEFL. As an ITA student, you may begin receiving Job Search Guidance even prior to the beginning of their class, presuming that your tuition is paid & that your Registration Form & Terms & Conditions have been signed. 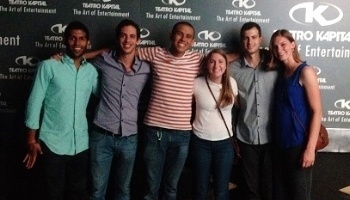 How Do I Actually Get a Job Teaching English Abroad? Job Boards – There are hundreds of ESL online job boards listing tens of thousands of teaching opportunities around the world. As a student and graduate of International TEFL Academy, you will be provided with a comprehensive list of these websites. Contacting Schools Directly – International TEFL Academy provides you with an international school directory with contact information for tens of thousands educational institutions around the globe. Placement Agencies & Recruiters – In certain countries and regions, like Asia and the Arab Gulf countries, a large percentage of teachers are hired through recruiters and placement agencies. International TEFL Academy can refer you to the most reputable agencies. Networking and Word of Mouth – Contacting other English teachers can be a great way to learn about schools and job opportunities, particularly if you are already on the ground in the city or region where you want to teach. As an ITA student you will be able to share job tips with ITA alumni all over the world on our exclusive Alumni Facebook group. Many countries have specific hiring seasons in which they seek to fill vacant teaching positions. While openings for jobs may become available at any time of year, following these hiring cycles and interviewing in advance for a position is critical to your success for finding a great job abroad. 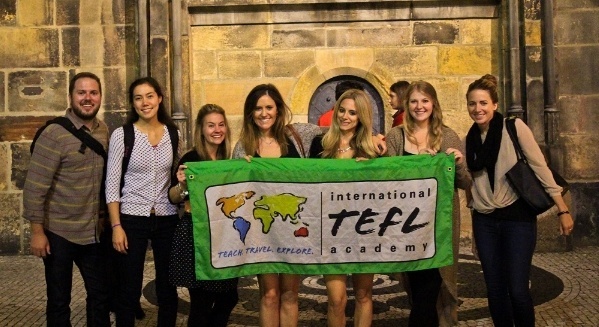 Learn more about how you can get TEFL certified & live overseas as a professional English teacher! What Are Hiring Seasons for Teaching English Abroad in Europe, Asia, Latin America & the Middle East? How do interview procedures work & what are hiring requirements in countries where I want to teach? 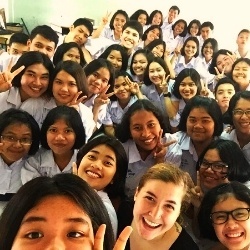 To learn more, read Where will schools hire me in advance to teach English abroad? 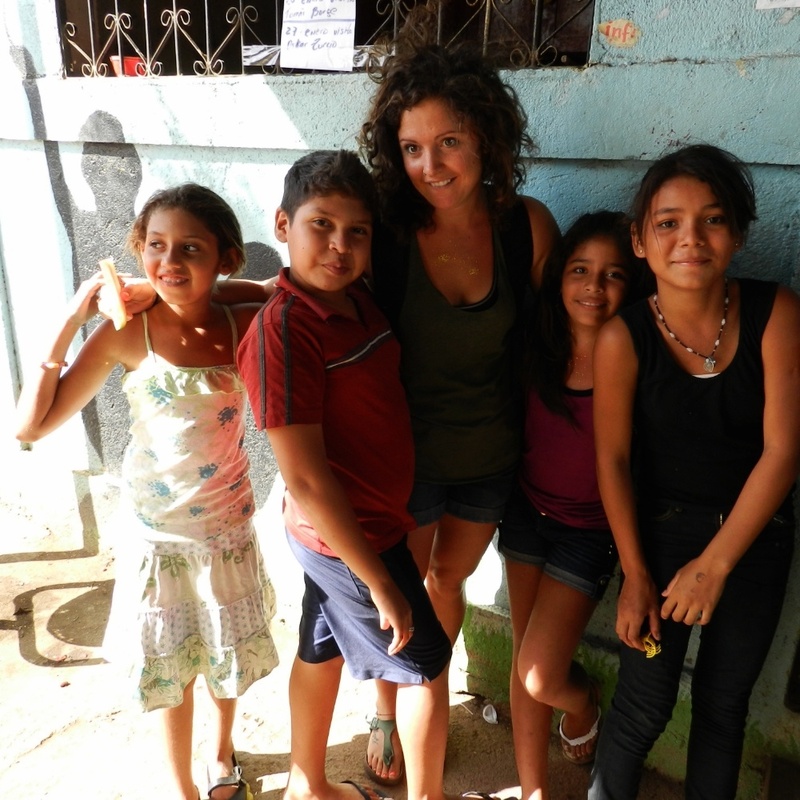 What are salaries for teaching English abroad & what will my start-up costs be? 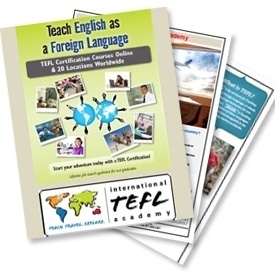 This 30-page guide provides an in-depth overview of job markets & opportunities in addition to TEFL certification options, job search process & more. Join 3 of our TEFL experts for a live 1-hour interactive webcast covering all of the basics for teaching English abroad & TEFL certification. Check out hundreds of FAQs & articles about all aspects of teaching abroad, including job markets, visas, TEFL certification & tips for living and working abroad. 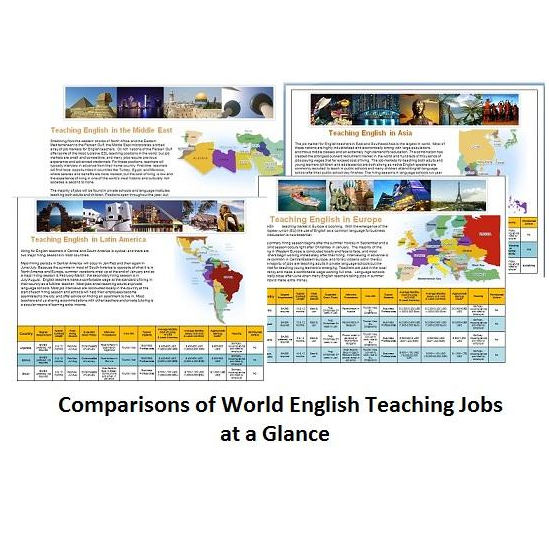 Compare English teaching jobs in 50 countries world by salaries, visas, hiring seasons, degree requirements & potential to earn & save. From Thailand & China to South Korea & Japan, Asia represents the largest & most lucrative job market in the world for teaching English abroad. 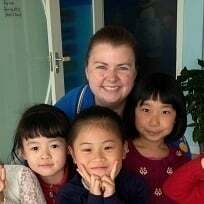 If you are looking for a fantastic international experience in addition to making & saving money, you need to consider teaching English in Asia. From Spain to Russia, demand for English teachers is booming across Europe. Most English teachers work in private language schools & as private tutors though there are some opportunities to work in public schools & summer camps as well. Offering spectacular natural beauty, lively culture & beautiful historic cities, Latin America represents one of the fastest growing regions for teaching English abroad. It is an especially appealing market for those who do not possess a college degree or citizenship from a native English speaking country. Stretching from Morocco to the Persian Gulf, the Middle East encompasses a broad array of teaching opportunities & markets. The Persian Gulf countries offer some of the best-paying jobs in the world, but these job markets tend to be smaller & more competitive.